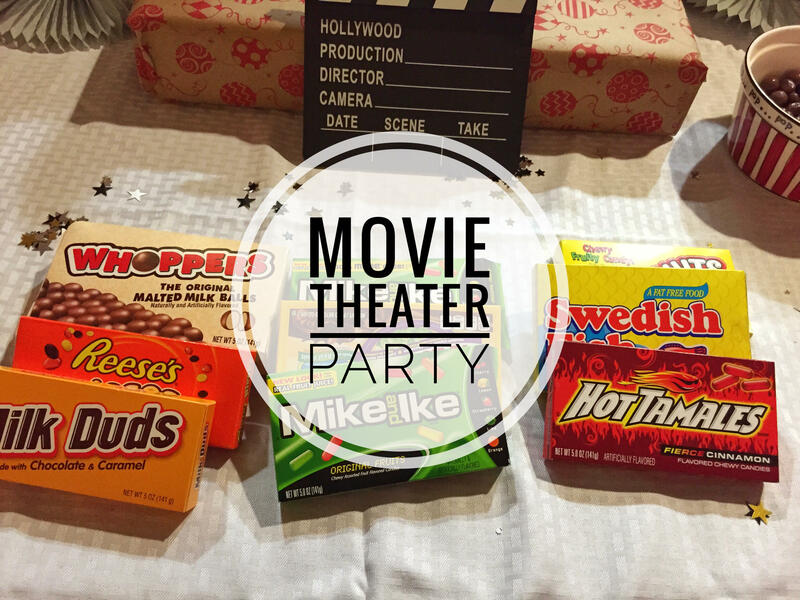 Movie Theater parties are a fun party theme. 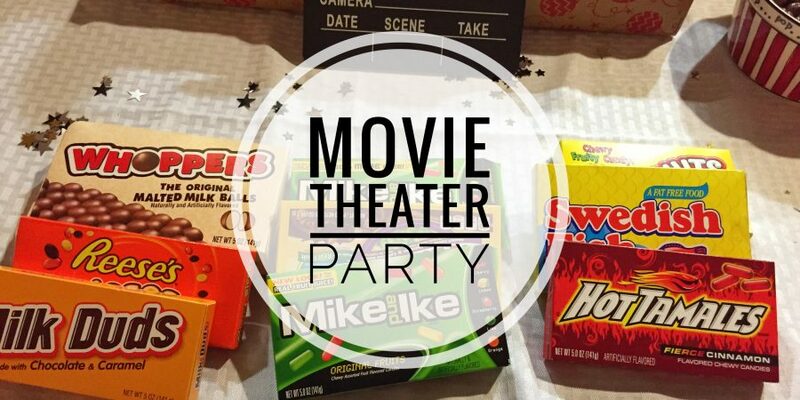 It’s very relatable for guests, since most people have been to a movie theater. This party was done for my sister in law’s birthday. My husband’s sister was born on New Year’s Day, so every year we get together to eat and hang out. This year, I worked with my Mother in Law to add a theme to the party. My sister in law came up with this theme because she loves eating popcorn and going to the movies. 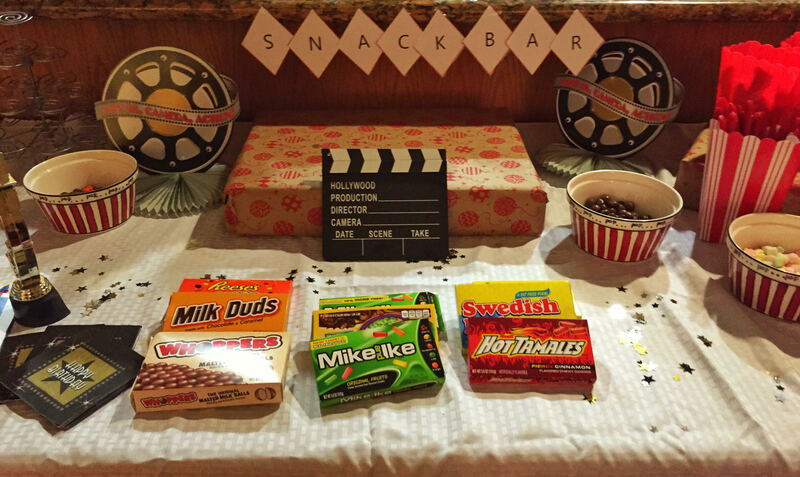 The movie theater theme party was quite easy to execute. After buying a couple things on Amazon and Party city, we were able to DIY the rest of the decor. We went full on movie theater food. 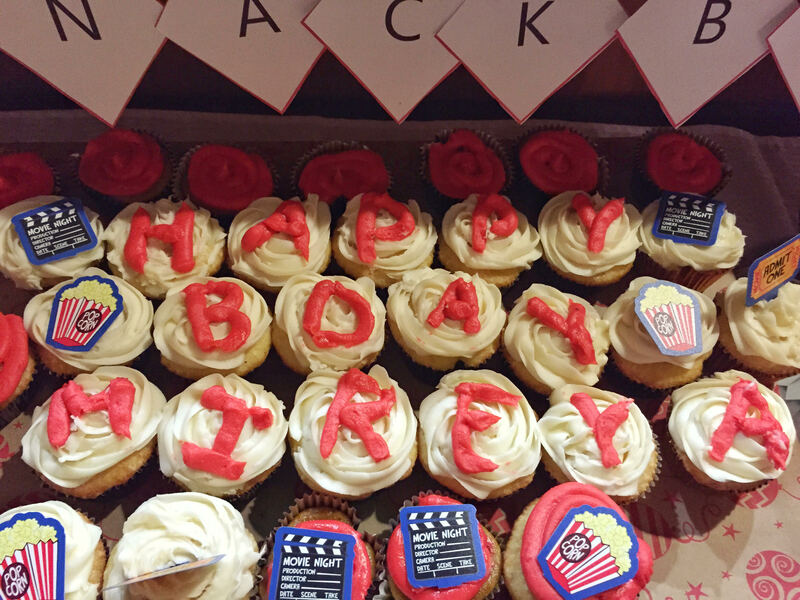 We had a nacho section, popcorn (with bags for people to fill), movie theater candy, hot dogs and cupcakes. To get everyone in the movie theme spirit we played a game called, “Celebrity”. In this game everyone writes down the name of six famous people, we split up into 2 groups, and have 3 rounds trying to make our teammates figure out who we are. Round 1-the person can say any word (no rhymes with, sounds like). In Round 2-You can only say 1 word to get the team to guess the celebrity. Round 3-You can’t say any words. You must act out the celebrity. Great game to play with a big group. People get really into the game. When we were working on the decorations we started looking for items that were movie related. 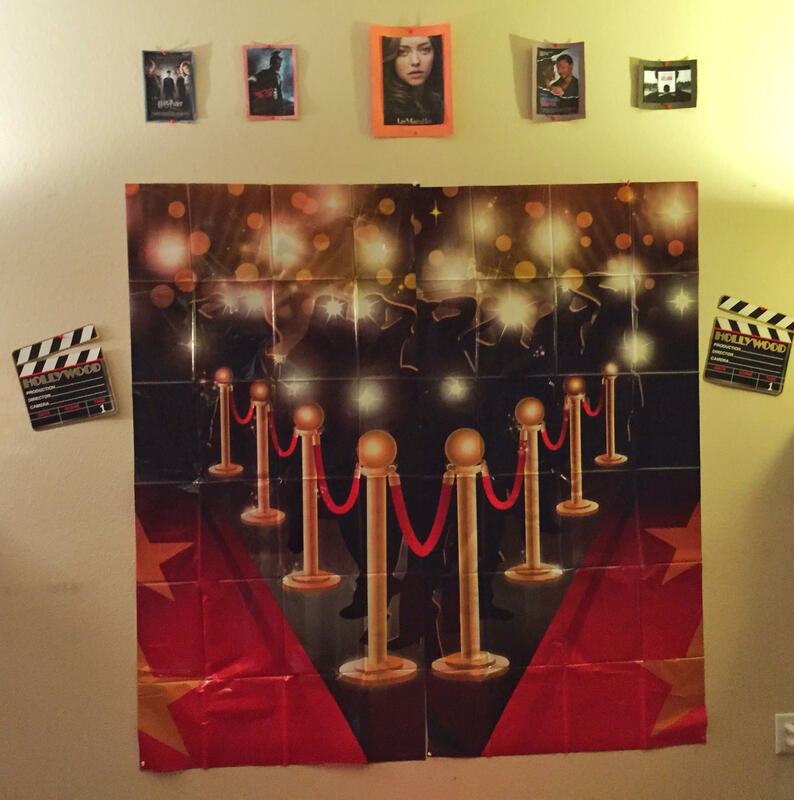 We setup a red carpet that I found at Party City and had a photo wall. One thing that makes me think of being at the movies is the “Coming Soon” poster as you walk in, so I printed a bunch of movie posters on 8 x11 inch paper and hung them around the room. 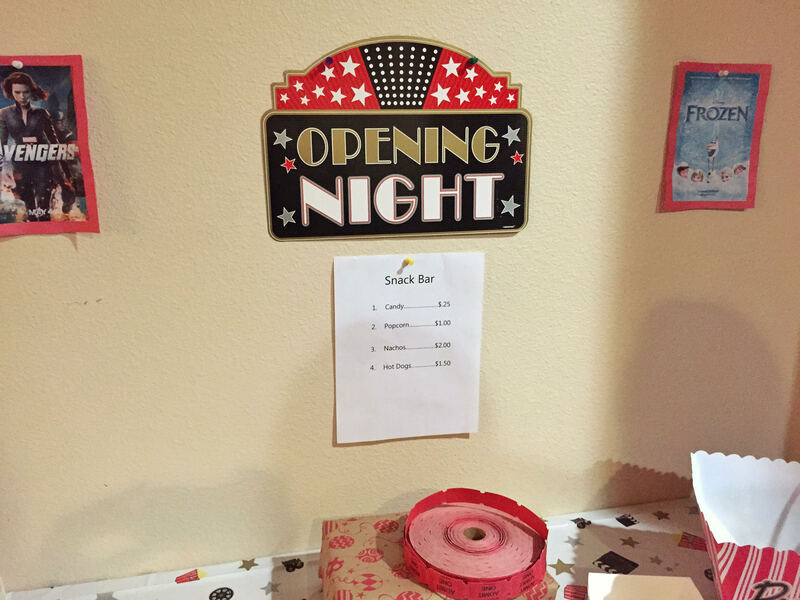 We setup popcorn containers, tickets, Director cut/action signs, and had little golden awards that I found on Amazon. 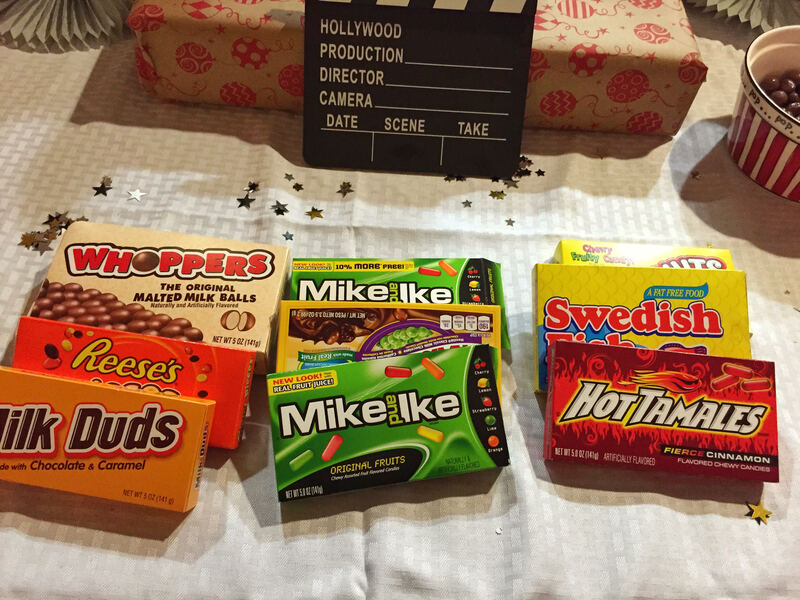 We had a table devoted to our favorite movie theater snacks.